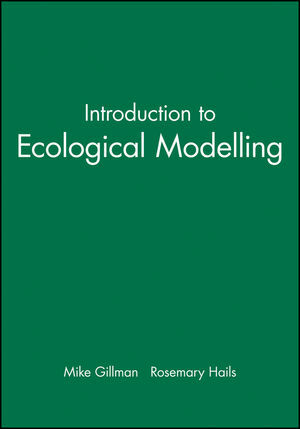 At present, most books on ecological modelling rely on very complex mathematics, resulting in students and researchers shying away from investigating the potential uses of ecological models and their methods of construction. This new book aims to open up this exciting area to a much wider audience. Assuming only basic mathematical knowledge, the text uses case studies to show how a relatively small set of techniques of model construction can be used in a wide range of important applications. Researchers will find it an invaluable guide to using ecological models in their work. Uses case studies to clearly demonstrate the applications of ecological models. A practical how-to guide for ecological researchers. Sample ecological models available via this web site. Mike Gillman has been based at the Open University since 1990. He has contributed to a diverse set of undergraduate and postgraduate courses in biological and environmental science. His research interests are equally broad, spanning population dynamics, community ecology and evolutionary biology. He has a particular interest in the environment and conservation of Neotropical forests. Rosemary Hails is a professor at the Centre for Ecology & Hydrology in Wallingford, UK. She was educated at Oxford University, where she earned a BA Honours in Zoology. Hails is a vice president and member of council for the British Ecological Society - BES -. Introduction: Themes Of Ecological Modelling. Looking For Cycles: The Dynamics Of Predators And Their Prey. Population Dynamics Of Species With Complex Life-Histories. Glossary Of Symbols And Terms.